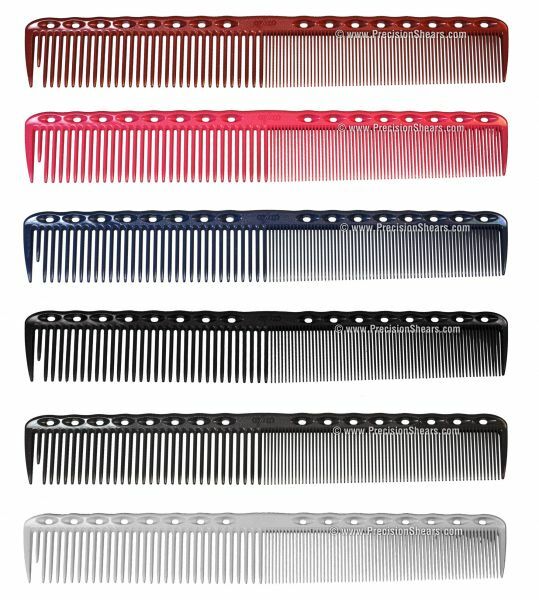 YS Park 336 Fine Grip Cutting Comb is designed with a waffle design on the top spine of the comb for better grip and control. 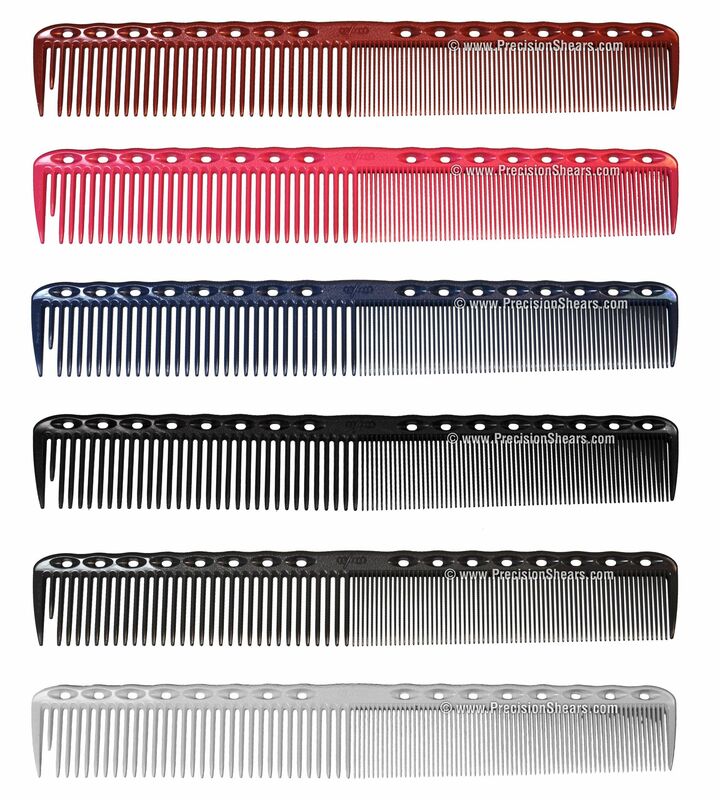 Measuring 7.4 inches it is a comb for all around use, and is versatile. Fine teeth gives a uniform combing pattern. 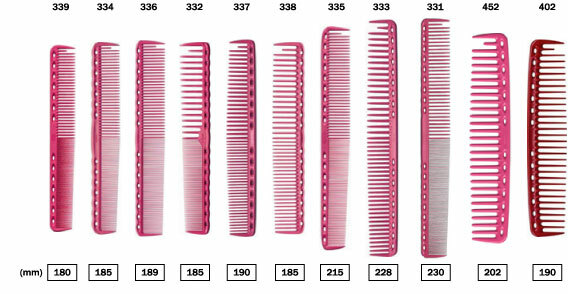 The holes also act as a measuring device (each hole is spaced 1 cm apart) Holes in th e body of comb can be used as an aid to measure sections.Five holes equals 2 inches.